You are currently browsing the archives for the Karmapa EN category. 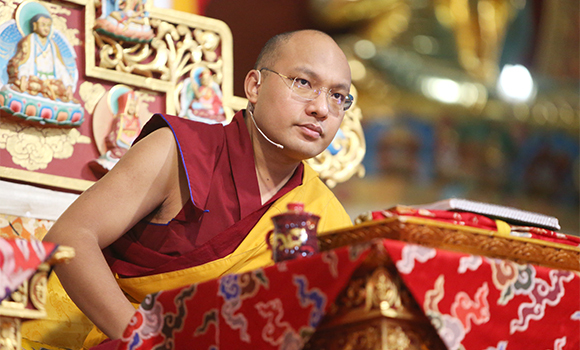 15 – The Gyalwang Karmapa: Renewing Hope for Many. February 3rd 2016 – Tergar Monastery, Bodh Gaya, Bihar, India. 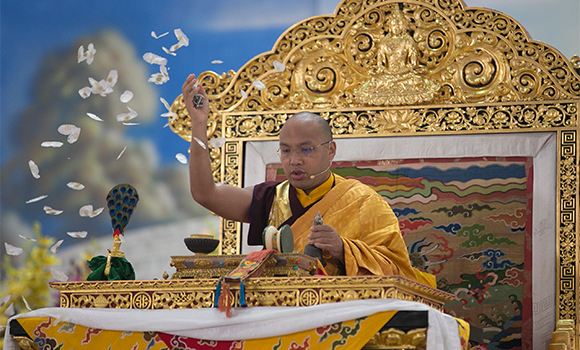 Aggiungi Commento » Comments Off on 15 – The Gyalwang Karmapa: Renewing Hope for Many. February 1, 2016. Tergar Monastery, Bodh Gaya, Bihar, India. 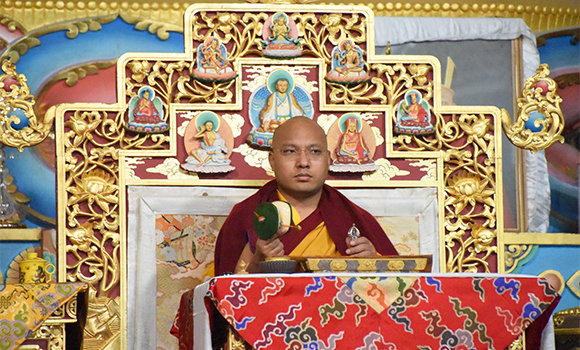 On this last day of teachings on Gampopa’s Ornament of Precious Liberation, the Gyalwang Karmapa completed the reading transmission for the section of Preparation, which included rejoicing, requesting the buddhas to turn the wheel of Dharma, supplicating them not to pass into nirvana, and the dedication. 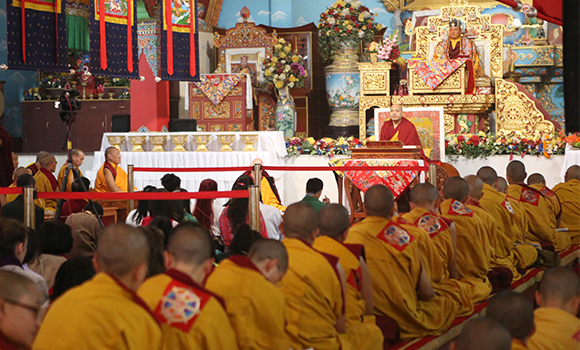 The Karmapa noted that Chapter Nine is the longest in the text and that he would teach the actual ceremony for generating bodhichitta later. 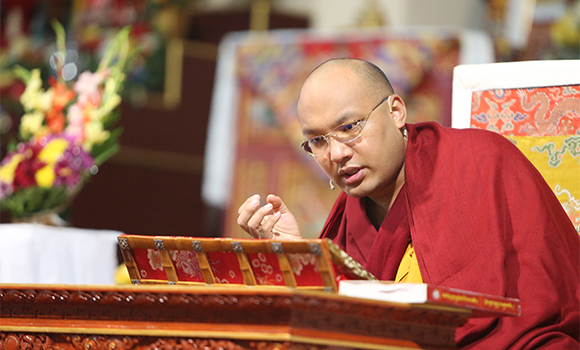 The Karmapa also explained why virtues are stronger than nonvirtues. 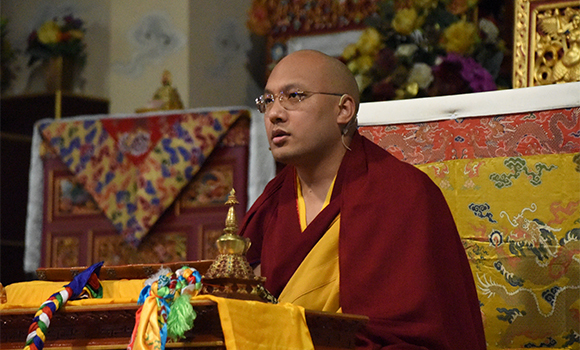 During the 18th day of teaching at the Arya Kshema Winter Dharma Gathering, the Gyalwang Karmapa taught on the practice of purifying misdeeds, based on The Ornament of Precious Liberation by Gampopa. 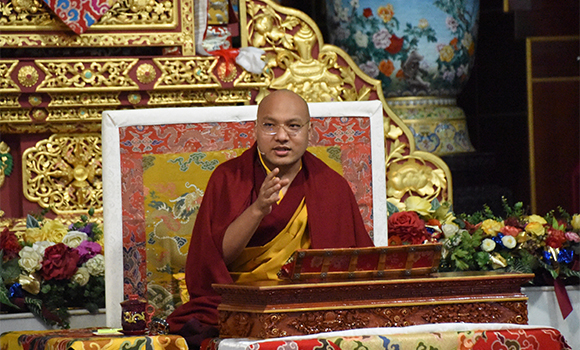 In particular, the Karmapa focused today on developing the confidence that it is possible to purify all our misdeeds through the practice of confession. 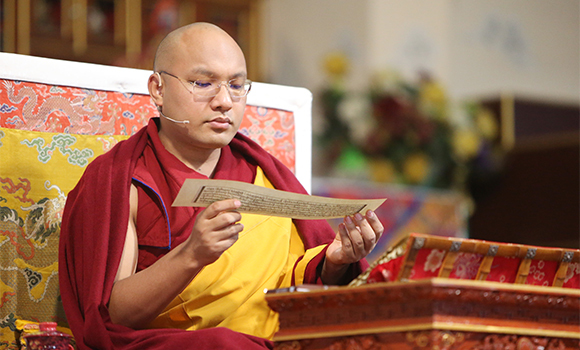 His Holiness the Karmapa: the Seven-Branch Prayer epitomizes all the practices of gathering the accumulations as well as purifying misdeeds and obscurations. The Gyalwang Karmapa: The particular benefit of this sadhana is that it brings a long and stable life to those who hold the teachings and for others it vanquishes fear, and continued engaging in virtuous actions keeps fear away. 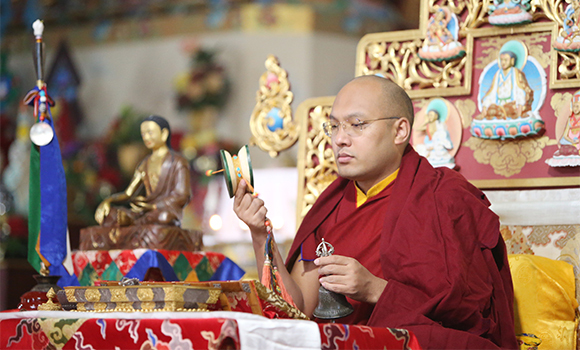 The Gyalwang Karmapa: Rousing bodhichitta comes from training the mind. The Gyalwang Karmapa: it is more important to generate compassion for oneself than it is to generate it for others. 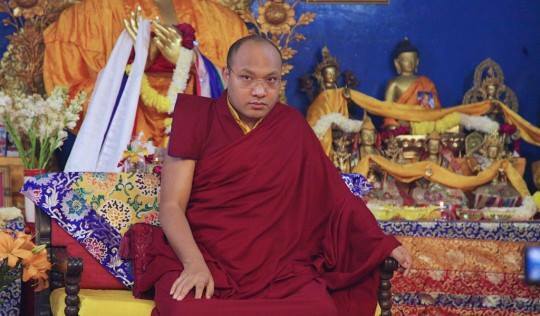 The Gyalwang Karmapa: Merely reciting the ritual is to develop true bodhicitta. January 20th 2016 – Tergar Monastery, Bodhgaya, Bihar, India. The Gyalwang Karmapa: “When we really think about our own situation we can see that this life of ours is interdependent, produced by other conditions”. The Gyalwang Karmapa: We have an innate potential for compassion but, he cautioned, we need to train or it will not develop. 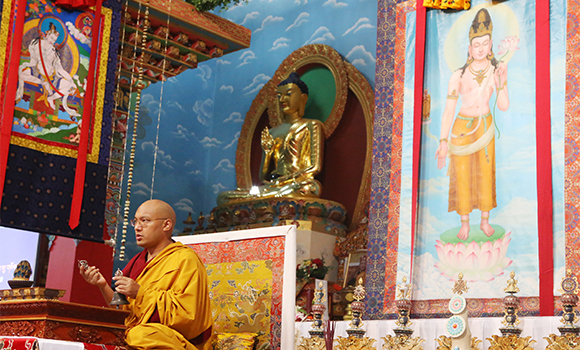 We Are All a Part of Each Other: The Gyalwang Karmapa Continues His Teaching on Bodhicitta. 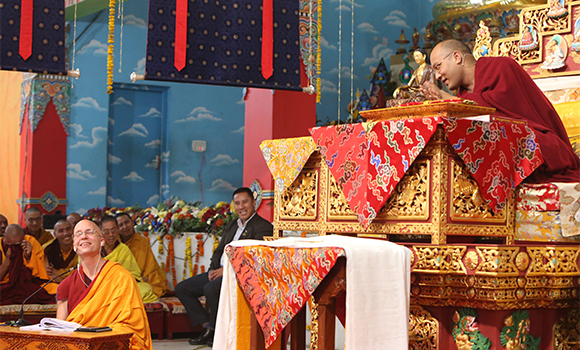 The Gyalwang Karmapa: Being a bodhisattva is working from now until Buddhahood. H.H. 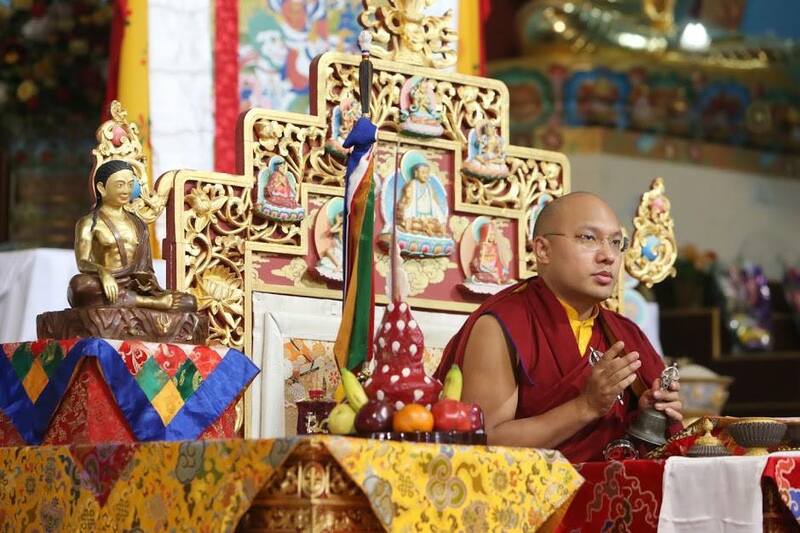 Gyalwang Karmapa: “Why it is necessary to become a perfectly enlightened Buddha to benefit others?”. H.H. 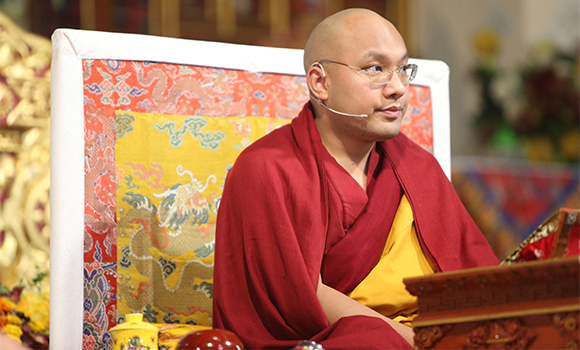 Gyalwang Karmapa: “We begin with the training in the three types of individuals”. 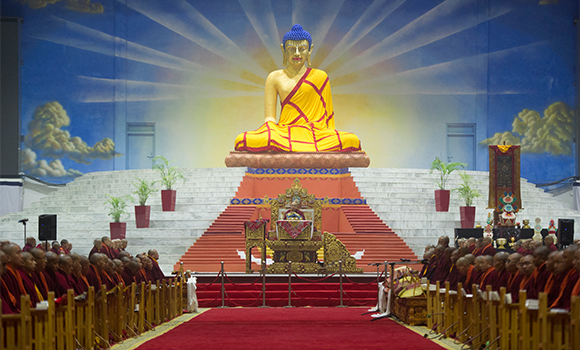 January 14, 2016 – Tergar Monastery, Bodh Gaya, Bihar India.